Angel's: Day 11: What is a mantra you live by? Ever since I graduated from secondary school, this has been the mantra I live by everyday. I have this habit of being too hard on myself, always comparing myself to others. It's unfair to do that I know. Everyone's different, each of us have our own paths to take. 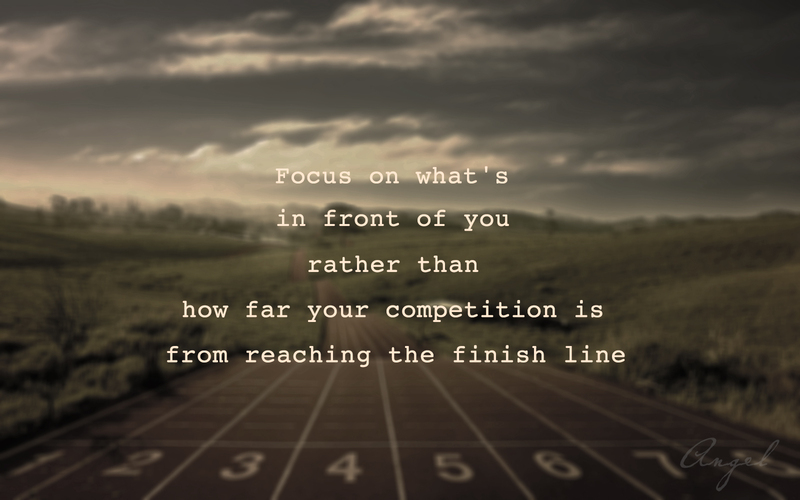 If I continue to focus on what others have accomplished, I will never finish what I started. Maybe I could make use of that as an inspiration/motivation rather than being obsessed about how others have gone so far.